Jan is “In search of more life-giving ways of working” with interests covering Agile software development, Sociocracy, Large Group Methods, Visual Facilitation, Self-organization and Presencing. He has recently read both of Henri’s books, hence all of these quotes from Henri are the length of tweets, in order to help Jan inspire people with Henri’s insights, as well as those of many other great thinkers. What is really needed here is the cultivation of a new habit … which sees things comprehensively instead of selectively. The greatest difficulty in understanding comes from our long-established habit of seeing things in isolation from each other. The viewpoint of materialism is a distortion that results from a one-sided emphasis on the category of quantity. Life exists only as a continuing present. In life, causes and effects take place simultaneously and complement one another. When quantity is taken to be the fundamental category, then nature is reduced to matter. The quantitative way of seeing discloses a world fragmented into separate and independent units. We can control and organize nature according to our will, but the price for this is that we withdraw from nature. The system of measurement is in no way intrinsic to nature, but the reduction of nature. Goethe’s way of science .. can be seen as the science of quality instead of quantity. The science which belongs to the intuitive mind .. can reveal aspects .. which must be invisible to the verbal-intellectual mind. [Dynamic organic systems] have to be understood holistically and not analytically, as well as dynamically and not statically. It’s this analytical structure of language which has made it inadequate for describing the domains .. discovered in modern physics. The grammatical structure of language articulates the world analytically. It discloses the analytical world. Nonverbal meaning can only be perceived intuitively and not intellectually. Seeing the plant intuitively in [Goethe’s way] … is to experience it “coming into being. The analytical mode of consciousness … emphasizes distinction & separation … it is also necessarily sequential & linear. The holistic mode of consciousness … is nonlinear, simultaneous, intuitive … and concerned more with relationships. The wholeness of polarity can only be perceived when the mind works in a more holistic mode; otherwise it is only an abstraction. Goethe’s approach was to avoid reducing the phenomenon to the mere effect of a mechanism hidden behind the scenes. The need is for a new science of nature … based on other human faculties besides the analytic mind. Working with mental images activates a different mode of consciousness which is holistic and intuitive. Typically, modern education is grounded in the intellectual faculty, whose analytical capacity alone is developed. The experience of authentic wholeness requires a new style of learning largely ignored in our schools and universities today. Modern positivist science can only approach the whole as if it were a thing among things. 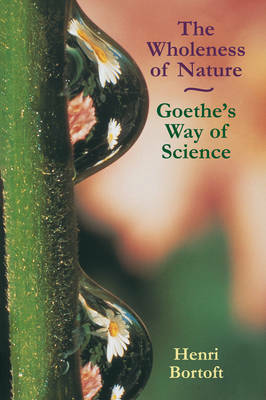 Goethe’s way of science enables us to discover the wholeness. We can learn to encounter nature as the expression of living being. Mathematics, logic, and language are strangely entangled in Western philosophical thinking. The awakening of our first language occurs very differently from the learning of a second language. The living organism produces itself actively, instead of being conditioned passively, in response to the environment. The dynamic approach tries to ‘catch things in the act’, in the lived experience, instead of ‘after the fact’. The living organism configures itself actively, instead of being conditioned passively in response to the environment. The forms of life are not ‘finished work’ but always forms becoming. 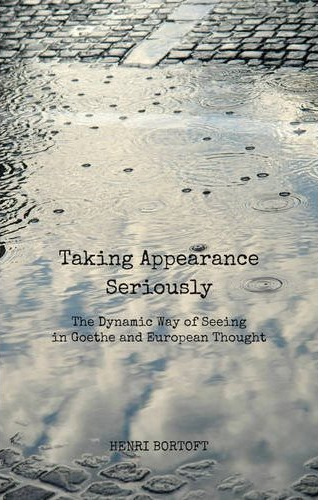 Goethe’s way of thinking is intrinsically dynamic: it goes back ‘upstream’ into the coming-into-being. This may well be Goethe’s greatest discovery: how to encounter what is active and living in nature by means of the senses. By practicing active seeing … attention is brought back into the phenomenon itself. We can experience nature as living presence, instead of an object standing over against us. The lived body is the sensing body and as such it is the organ through which we can encounter the sentience of nature. The very nature of consciousness is such that the world is already included within it. The notion that consciousness is closed in on itself is completely at odds with lived experience. When we think .. of the world as being ‘made up’ of separate & independent entities, .. then we really have got it backwards. There can be no such thing as an entity that is absolutely independent, being what it is solely in terms of itself. The ‘common sense’ account of perception (empiricism) and language (nominalism) are not true to experience. The systems approach seems to be dealing with wholeness, but does so in an artificial way. The wholeness of the system is the left brain representation of the wholeness which presences through the right brain. The whole organization comes to expression, to some degree, through the role of each person in that organization. Each person in their role in an organization is in fact an expression of the organization as a whole. The whole is enfolded in the part and each part is enfolded in the whole. But it is a sheer fact of experience that what is meant is always more than we can say. We only understand what is said when we recognize the whole (the unsaid) manifesting through the part (the said). Each expression of meaning is complete (it is a whole-part) but the expression is always necessarily unfinished. The dynamical ‘possibility of meaning’ of the work is evoked in accordance with the conditions of that situation. When we think .. of the world as being ‘made up’ of separate & independent entities .. then we really have got it backwards. It is practice in seeing comprehensively which leads to the direct seeing of connections, so that the wholeness is experienced directly. When we see the connection, instead of introducing one, then it has more the character of a nonlocal connection.